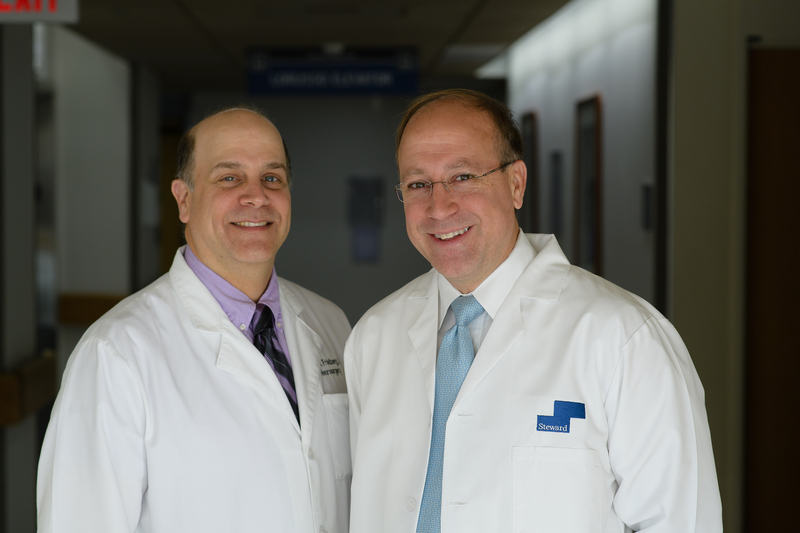 Serving all of New England, we are a team of physicians, Marc H. Friedberg, M.D.,Ph.D. and Michael Gieger, M.D., engaged in the practice of Neurosurgery. Our office is located in Norwood, Massachusetts on the grounds of Steward Norwood Hospital. Please see our Mission Statement and our Non-Discrimination Policy. Our offices are open Mondays through Fridays, except for Holidays, from 9:00 a. m. until 5:00 p. m. Our offices are staffed by the finest employees that can be assembled. All are dedicated to treating our patients promptly with compassion, respect and dignity. Emergency calls are taken 24 hours a day, 7 days a week. New patient appointments are by appointment only. We participate with most insurance companies (see FAQs) Insurance pre-registration and pre-certification are necessary.